Some of the best spots in Europe to visit during the summer can be found along the Mediterranean. And Nice, France is one of them. Of course, while Nice is world renowned for its beautiful coast, the city has things to offer throughout the year, from Christmas markets to Carnival celebrations. Below, you’ll find a list of ten things to do while visiting Nice, France. Walk the Promenade des Anglais, named for the early English tourists who came to Nice. The promenade stretches along the beaches of Nice and offers an amazing view of the Cote d’Azur. Along with the views, throughout the year several events and activities are held on and around the promenade, and of course, there are always opportunities to take a seat in one of those famous blue chairs. Photo by W.M. Connolley. MoreÂ here. Terra Amata is an archeological site which is believed by many to show evidence of human habitation from about 400,000 BC, including the use of fire. The site is also home to the Musee de PalÃ©ontologie humaine de Terra Amata, which displays some of the finds. Sample some of the local cuisine such as socca (best described as a pancake based on chickpea flour), pissaladiere (a sort of pizza/tart made with onions and anchovies), or Nicoise salad (a salad often topped with anchovies). Photo by Gudlyf. More here. Nice self-identifies as the green city of the Mediterranean and has several beautiful gardens including the Jardin Albert 1er, created in 1852 allowing you to take in the beautiful palm trees and flowers of the coastal city. Photo by Omar A. More here. Matisee lived in Nice from 1918 until his death in 1954 and you can see his work at the MusÃ©e Matisse. The museum has been open for nearly 50 years with a great collection of work donated by Matisse and his heirs. The museum is open year round and, even better, offers free entry. Photo by debs-eye. More here. Nice is host to a wonderful international jazz festival known, appropriately enough, as the Nice Jazz Festival. Held annually since 1948, the 2011 edition of the festival will be held from July 8th to July 12th. The five day event sees musicians from around the world perform. If you enjoy jazz music, or just want a reason to be a part of a great party, don’t miss the festival. Photo by benoit.darcy. More here. If one festival isn’t enough for you, or you just happen to be in Nice in February instead of July, check out the Carnaval de Nice. The celebration is a two week affair culminating on Mardi Gras which draws over a million people to the city. Some claim that this celebration has been going on since the 13th century in the area. Photo by adrigu. More here. This area has about 600 different shops offering enough local products and souvenirs to fill your suitcase.If shopping isn’t your thing, the area is still worth checking out due to the beautiful architecture, the Place Rossetti, the Opera house, and several churches. Photo by savagecat. Â More here. While there is plenty to do in Nice itself, the surrounding area has a rich history and beautiful scenery. If you find yourself itching to get out and explore the countryside, follow Kimberly Sullivan’s advice and head to Eze. Just a short drive from Nice, the medieval city looks down upon the coast. Read more about Eze in her post, Views from the eagle’s nest in Eze, France. When I think of Nice, I think of beach vacations. I think of the Mediterranean. I don’t necessarily think of Christmas markets. But as Kimberly wrote on Europe a la Carte, Nice makes a wonderful winter get-away as well. You can find everything from Christmas trees to ice skating. Check out Kimberly’ss great post The Christmas Market in Nice, France. This entry was posted in France on June 9, 2011 by Marcus Cederstrom. Naples has an interesting history, a history that continues to this day. It is a city that lately has spent more time in the news for high unemployment and issues with the Camorra crime organization. Despite all this, it is a city rich in tradition and still a beautiful tourist attraction on the Italian coast. To allow you to start your sightseeing immediately, you could book at taxi in Naples from the airport straight to your hotel. Check out the Naples National Archaeological Museum for one of the greatest collections of Greek and Roman artifacts. The museum is, of course, also home to an amazing collection of artifacts from the city of Pompeii. Take pictures of the interior of the Galleria Umberto I. The Galleria is a public shopping center in Naples, but it is not for the shopping you need to head to the Galleria. It’s the architecture, especially the glass dome. Whether or not you buy a single thing, head to the Galleria and crane your head upwards. Photo by kalamita. More here. Go spelunking. Kind of. Naples has a sort of mirror subterranean city. Guided tours are available and last about 60 minutes and cover several kilometers of tunnels, caves, and terrain, all the while discussing the history of the city. Photo by Averain. More here. No trip to Naples would be complete without visiting Mt. Vesuvius. About ten kilometers from Naples, the volcano is of course best known for the eruption in 79 AD in which the entire city of Pompeii was destroyed. While Mt. Vesuvius is still an active volcano today, it has been designated a national park and visitors are welcome to hike to the summit. The views of Naples from Mt. Vesuvius are hard to beat. Photo by Rick McCharles. More here. Visit the center of Naples which has been designated a World Heritage site by UNESCO. The center of the city offers nearly 2500 years of history and culture making it well worthy of the designation by UNESCO. Photo by antmoose. More here. For another World Heritage site, check out the Real Teatro di San Carlo. The theater opened in 1757 and is still active today.Â Try to catch an opera performance or a ballet if you get the chance. Be warned though, tickets are not cheap. Visit the Duomo di Napoli, an important cathedral for Catholics in the area.Â Completed in the 14th century, the cathedral is now the seat of the Archbishop of Naples. Inside you’ll find a variety of impressive art work, from frescoes to altarpieces. Wander through the 17th century Royal Palace of Naples (it’s another World Heritage site. You may be seeing a pattern here. The city has a lot to offer.). The Palace gives a glimpse into the royal past of the region. Photo byÂ Averain. MoreÂ here. Explore the Castel Nuovo, a medieval castle in Naples that has seen plenty of changes over the centuries. The fortress cuts an imposing figure in the cityscape and offers some beautiful views of the bay. Some might find the tour of the castle itself a bit underwhelming (it helps to have an interest in the medieval history of the region), but the exterior and views of Naples should satisfy most critics in your group. Photo by Chiara Marra. More here. And finally, eat pizza. Lots of it. Search the city and find your favorite. Pizza is said to have originated in Naples, so explore and enjoy! Photo by gsz. More here. We’ve plenty more tips for things to do in Italy on Europe a la Carte. This entry was posted in Italy on June 2, 2011 by Marcus Cederstrom. Here are our tips for things to do in County Waterford. Located on the south-east coast of Ireland, the county is named after the city of Waterford, said to have been founded around 900 AD by Vikings. Waterford is one of the oldest cities in Ireland and the area has plenty to offer visitors. Wateford Crystal Factory by Irish Fireside. More pictures by Irishfireside here. If youâ€™re looking for history, Waterford city is a great place to start. The early founding of the city has left remains ranging from the Viking Age to the 18th and 19th centuries, including Christ Church Cathedral and the city wall.Â Along with the historical walking tours, the city also is home to several museums.Â Check out the newly restored Bishopâ€™s Palace, scheduled to open June 23rd, 2011 or the Viking exhibition at Reginaldâ€™s Tower. Picture courtesy of Hotelsireland. More pictures by HotelsirelandÂ here. Like much of Ireland, the pre-historic remnants of the Irish people are preserved today in Co. Waterford.Â Click in on Co. Waterfordâ€™s website to see a list of the numerous megalithic tombs, ogham stones, even promontory forts to choose from.Â The Gaulstown portal tomb, as well as the Harrison megalithic tomb, are both well-known. 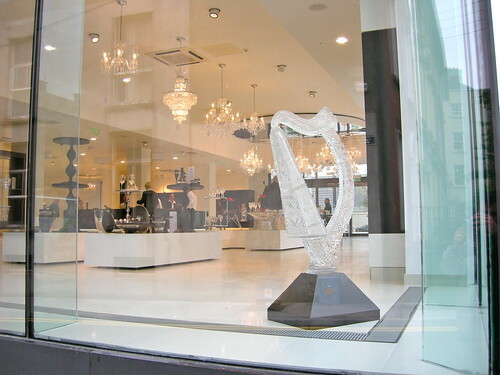 No trip to Co. Waterford is complete without a trip to the House of Waterford Crystal. A factory tour will allow you to see the entire process from the moulding to the blowing to the final production. Itâ€™s an impressive experience and one that will allow you to appreciate the craftsmanship of the world renowned crystal. Plus, you can get a little shopping done. Picture courtesy of IrishFireside. More pictures by Irishfireside here. The SpraoiÂ Festival taking place every late July/early August during the bank holiday (this year from July 29th to 31st) is an international street fair held in the city of Waterford.Â Art, music, food, and a large parade dominate the weekend.Â If youâ€™ve got children, this is a great way to spend the long weekend. This beautiful, but rugged, coastline was designated a UNESCO Global Geopark and is the only Global Geopark in Ireland.Â The Copper Coast blends the natural science with a sense of tourism, offering up the beautiful landscape as a tourist destination.Â There are several villages along the coast to visit including Annestown and Boatstrand. If youâ€™re looking for a little exercise while outdoors, head over to the hike near the village of Kilmacthomas.Â There are plenty of hiking opportunities throughout the mountain range, and the effects of the Ice Age have left an impressive glacial fingerprint.Â The highest peak reaches nearly 800 meters. Picture courtesy of SeanJohnSean. More pictures by SeanJohnSeanÂ here. If youâ€™ve decided to rent a car and brave the Irish roads (and for some of us that means driving on the opposite side of the road) there are several scenic routes to take.Â The Copper Coast and Comeragh Mountains above are wonderful options, as well as the Gaeltacht & Galltacht Drive offering a look at the Irish speaking areas of Co. Waterford. No travel tip guide to any county in Ireland is complete without mentioning the genealogical opportunities.Â Co. Waterford is no different.Â If you have been lucky enough to trace your ancestors this far, head over to the Genealogical Centre at Waterford Heritage Genealogical Centre.Â The center offers genealogical services, lectures, and even walking tours. If youâ€™re hoping to experience the culinary heritage of Ireland, be sure to attend the Waterford Festival of Food in Dungarvan.Â The festival offers a variety of events, some free, some requiring tickets.Â There are several tasting, educational, and musical options to choose from including what the festival has dubbed â€œfringe events.â€ Fringe events are all those activities being hosted by local restaurants and businesses in and around Dungarvan. Click here to find low prices on the HotelsCombined price comparison site. This entry was posted in Ireland on April 13, 2011 by Marcus Cederstrom. Here are our tips for things to do in County Donegal, the northernmost county in Ireland.Â Which might not sound all that interesting until you realize that parts of Co. Donegal are actually north of Northern Ireland. Aside from just a small strip of border touching Co. Leitrim, youâ€™ll technically have to go through the United Kingdom to get there. Because of the many eras of emigration from Ireland, many people return to explore their Irish roots. The Glencolmcille Folk Village Museum is a great place to get a window into the world that so many left behind while also exploring the world that has shaped current day Ireland. Stay at the town of Burt and visit the nearby Iron Age ring fort, Grianan an Aileach. Sitting atop a hill, the fort looks out over Co. Donegal and offers views that are hard to beat. The area was most likely once a seat of power and culture in ancient Ireland. Today, it is one of those ancient ruins that just shouldnâ€™t be missed. Take a guided tour at the 15th century Donegal Castle in Donegal Town. There is a small fee to visit the castle, but the castle has been nearly completely restored and is well worth the entrance fee. Picture courtesy of Marcus Murphy. Â More pictures by Marcus Murphy here. Learn Irish at the Oideas Gael Language camp. For over 25 years, the camp has been offering education in both the Irish language as well as Irish culture for adults. While the course does not necessarily come cheap, it offers a unique opportunity to learn the Irish language in one of Irelandâ€™s most beautiful landscapes. 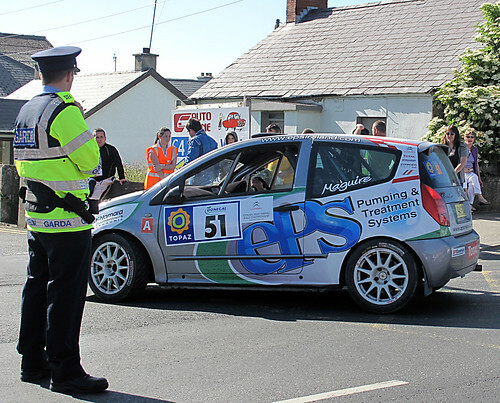 Enjoy (from a safe distance) the Donegal International Car Rally.Â On the third weekend of June, the three day event brings rally fans from around the world to the competition. The course winds through breathtaking scenery and offers world class racing. People from around Ireland and Europe flock to Co. Donegal for the nature. With good reason. So go for a walk or go cycling. Anywhere. The countryside is beautiful so get out there and explore.Â You can head off on your own, either having rented a bike or by foot, but be sure to head out there. Picture courtesy ofÂ Jule_Berlin. More pictures byÂ Jule_BerlinÂ here. Boasting some of the most beautiful beaches in Ireland, Co. Donegal has plenty of white sandy beaches to choose from. Bundoran is a great place to enjoy the sea as well as get a little surfing in. Picture courtesy ofÂ dusi_bbg. More pictures byÂ dusi_bbgÂ here. Not only can you go swimming, but you can even go diving.Â Mevagh Diving Center offers dives for all experience levels as well as dives to various wrecks and plenty of scenic dives. They are a PADI 5 Star certified dive center and the only dive center in Co. Donegal.Â Theyâ€™ll even take you diving every single day of the year.Â Although, unless youâ€™re braver than me, diving in December, that far north is better left to others. GlenveaghÂ National Park offers guided walks with park rangers throughout the year, although booking is essential. The lakes, forests, and mountainous areas offers a beautiful countryside and the park prides itself on its ongoing efforts to reintroduce the Golden Eagle which was classified as extinct in the area in 1912. Picture courtesy ofÂ rejflinger. More pictures byÂ rejflinger here. 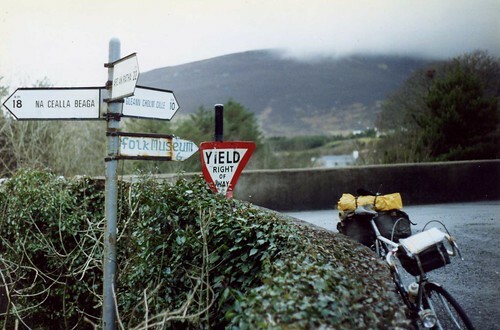 And finally, go to the Slieve League. The sea cliffs are actually much higher than the Cliffs of Moher in Co. Clare and due to the lack of notoriety youâ€™ll find fewer people swarming the cliffs.Â As always though, be safe! Picture courtesy ofÂ Dr.epsylon. More pictures byÂ Dr.epsylon here. Click here for great deals on Donegal hotels on the HotelsCombined price comparison site. This entry was posted in Ireland, Travel Tips on March 22, 2011 by Marcus Cederstrom. For an American, Mardi Gras is synonymous with New Orleans. A non-stop party with plenty of good food, alcohol, and some party beads thrown in for good measure. Swedes celebrate Mardi Gras too. They just do it a little differently. Swedes eat. Specifically, Swedes eat semlor. A semla is a delicious baked good smothered in cream. The pastry itself is a wheat bun, spiced with cardamom. The top of the bun is cut off (but not thrown away) and hollowed out. Inserted into the newly hollowed out bun is a dollop of almond paste. Finally, the bun is filled with cream and the cut off (but not thrown away) top acts as a sort of hat to the semla. Picture courtesy of ratexla. More pictures by ratexla here. Semlor are traditionally meant to be eaten on Fat Tuesday (Shrove Tuesday in the UK), before the Lent fast begins on Ash Wednesday. However, the Semla starts making an appearance in bakeries and grocery stores throughout the country around the beginning of the year and donâ€™t disappear until Easter. And it is a good thing, because they are delicious. Several years ago, Aftonbladet, one of the evening newspapers in Sweden, reported that the average Swedes eats five semlor per year for a grand total of 40 million semlor. Picture courtesy of Per Ola Wiberg ~ Powi. More pictures by Per Ola Wiberg ~ Powi here. I had initially planned on ranking my favorite semla places, but itâ€™s just not fair. The beauty of Fat Tuesday is sampling your way through several different semlor. The cafÃ©s in Gamla Stan in Stockholm are a great place to start. If the weather is nice, continue on to KungstrÃ¤dgÃ¥rden and grab a seat at one of the outdoor cafÃ©s. Finally, make your way towards HÃ¶torget. You wonâ€™t be disappointed. You will be full, and if you didnâ€™t pace yourself, borderline sick. Semlor are rich and heavy and should probably be eaten in moderation. Of course, it is Fat Tuesday, so enjoy. If you canâ€™t make your way to Sweden in time to sample a semla, try this recipe here. This entry was posted in Sweden on March 2, 2011 by Marcus Cederstrom. A few years back I decided it would be a good idea to take a train from southern Sweden to Italy.Â A couple of my friends were studying abroad, so I had a place to be and people to see.Â I decided a train would be a good idea because I could see the country side and maybe save a little bit of money.Â Of course, cross continental travel takes some time and so I opted for the night train. This was long before I had learned that you get what you pay for, love, and so instead of paying a bit extra for a nice cushy compartment that might actually allow for some sleep, I paid for a normal seat. Picture courtesy of sh1mmer. More pictures by sh1mmerÂ here. I am not a small person and so my long legs tend to not enjoy sitting in tight spaces for extended periods of time. Trying to sleep in a sitting position is tight spaces is even worse. Â Yet there I was, in an overnight train heading towards Italy, with several other people all in various stages of discomfort.Â But I was young and poor and thought the experience would count for something. For what I still donâ€™t know. After several hours of pretending to sleep, I decided maybe a bathroom run with toothbrush in hand would help.Â So I carefully and quietly attempted to extract myself from the crowded row of seats.Â Not an easy task on a moving train in the middle of the night.Â After the several muttered excuse meâ€™s, I was free. To the bathroom I went. I took my time getting there, it was nice being able to wander through the silence and I was in no hurry. Finally though, my teeth brushed, I headed back to my seat. Only to end up very confused. It was filled.Â By a man. A very asleep man. What happened next makes me a pushover. Iâ€™d like to think it makes me a thoughtful and caring individual, but really it just makes me a pushover.Â Because I did nothing. I wandered the train the rest of the evening, even sitting on a bench with a book in hand for a while. How a man was able to slide into my seat and fall asleep so quickly, Iâ€™ve never been able to figure out. But there he was, and there I was.Â And I havenâ€™t taken a night train since. Andy loves taking the trains in Europe, while Iâ€™m sceptical to say the least.Â What do you think? When youâ€™re planning your European travels, does train travel figure into the equation? This entry was posted in Rail Travel on February 23, 2011 by Marcus Cederstrom. Before I even start, I should tell you all, I donâ€™t really like the Millennium books; “Girl with Dragon Tattoo” being the first in the series of Stieg Larsson’s crime novels. I think they are overly detailed, they slog along, and they just seem a bit too stereotypical at times. Luckily, this isnâ€™t a book review. Because even if those details can become a bit much, those details also give the reader a good glimpse into Stockholm as a city. Knowing what cafÃ© is on what street on what island in Stockholm might not be necessary for moving the plot along, but for those who have been on that island, on that street, at that cafÃ©, itâ€™s a fun exercise. It makes for a great travel trip while visiting Stockholm in Sweden. The Stockholm City Museum seems to agree. The museum offers walking tours of Stockholm, stopping at places that appear in the Millennium books. Because of the international popularity of the books, tours are offered in a variety of languages: French, Italian, Spanish, German, Portuguese, Danish, Finnish and Russian. Of course, they also offer an English language tour, which leaves every Saturday at 11:30 am. The tour lasts about two hours and tickets can be purchased, for 120 SEK, from a few different places, including the museum itself. Regardless of your opinion of the book, SÃ¶dermalm, the island which is host to much of the action in the books, is a beautiful place and well worth wandering. Youâ€™ll be surrounded by great little stores, bars, cafÃ©s, restaurants. Not only that, but the area offers some amazing people watching, as the Stockholmers mill about on a Saturday. Pick the Saturday after everyone gets paid (usually the 25th of each month) and youâ€™ll be amazed how the city comes to life. Picture courtesy of Robin Iversen RÃ¶nnlund. Keep in mind you do not meet at the museum! Instead, the meeting point for the tour is Bellmansgatan 1, for Millennium fans, better known as the apartment of Mikael Blomkvist. This entry was posted in Sweden and tagged Stockholm on February 16, 2011 by Marcus Cederstrom. The island of Gotland off the eastern coast of Sweden was once a major trading center in European commerce. During the Middle Ages, Gotland and the German Hanseatic league saw unquestioned economic prosperity. With this prosperity, and the Christianity which had come to the island just a couple of centuries before, came the need for churches and cathedrals. The island itself is home to hundreds of churches. Some are in ruins, others are in use. All are impressive structures. In particular, the largest city on the island, Visby, is home to several different ruins. Climb the still standing medieval city wall and you will be able to look out over the cityscape and pick out the different ruins. Still standing, and in use, is St. Maria Cathedral, which was built as a church and dedicated as early as 1225 for the German traders in the area. In 1572 it became a cathedral. While visiting, I stumbled upon a choir practice. I was not alone. Several other tourists had made their way to the church and stood around in a semi-circle as the choir rehearsed. Despite the beauty of St. Maria, I prefer ruins. Itâ€™s the romantic in me and luckily Visby has plenty to offer. My favorite is probably St. Nicolaus, if only because despite being a ruin, performances are still held every year in the old church. For the history nerd in me, there are few things better than watching live music in the skeletal ruins of a medieval church. Considering that Visby, Gotland was a popular European destination nearly 800 years ago, it still has a lot going for it. This entry was posted in Sweden on February 9, 2011 by Marcus Cederstrom. Iâ€™ve mentioned that I actually quite like Ryanair, especially when it can fly me round-trip for 93 SEK to somewhere Iâ€™ve never been before, like the Old Town of Wroclaw, Poland. But Wroclaw had something I wasnâ€™t expecting. Gnomes. Lots and lots of gnomes. I first stumbled upon a gnome and thought it was a tourist gimmick. Just a small statue of a gnome peering out at me. But as I wandered around, I realized gnomes were hiding everywhere. Some up high staring down at me, some swinging from lamp posts, others hiding right in the open. And still I thought it was some sort of tourist gimmick. Turns out those gnomes have a pretty impressive history. An anti-communist history. In the â€˜80s a group known as the Orange Alternative movement protested against the reigning communist regime. Their focus was non-violent resistance. And it seems if they could make people laugh or smile a bit, that was a plus. So they used a variety of techniques. One being dressing up as gnomes on International Childrenâ€™s Day back in 1988. My favorite story of protest was an account of the group gathering at the local zoo in front of the monkey cage and singing Stalinist anthems. I appreciate the creativity. The gnomes, though, became a symbol of the resistance and today dot Wroclawâ€™s cityscape. I wandered around the Old Town of Wroclaw, happily surprised by every gnome I managed to find. I was snapping pictures of every gnome I managed to find. But some eluded me. I just know it. It became a sort of game that got me lost on several occasions, but lost in a city that suddenly seemed just a bit more whimsical. Gnomes will do that to you. I went to Wroclaw because I found a cheap ticket for flying Ryanair; I would gladly travel there again, when planning my next trip to a European city, for the sole purpose of gnome hunting. There are a few I have yet to catalogue. This entry was posted in Poland on February 2, 2011 by Marcus Cederstrom. Before traveling to Wroclaw, Poland I was warned about the language barrier.Â Younger people would be able to speak English along with their native Polish, but the older generation would speak Polish and Russian, although they would deny being able to speak Russian unless absolutely necessary.Â I was told it was a cultural thing stretching back to Soviet rule.Â Mostly though, I was told not to worry about it.Â So I didnâ€™t. When doing my travel planning, I didnâ€™t think to bring a phrase book. But then I suddenly found myself in a train station, late, without a ticket, and no idea where to go.Â And I started to worry.Â I do not speak Polish. And I do not speak Russian.Â And this was causing a huge problem in my ability to communicate.Â I had intended to head out to a town called RogoÅºnica to visit an old concentration camp called Gross-Rosen (an amazingly somber and impressive experience by the way and one that I can not say enough about). I had identified the time I needed to be at the train station and taken care to write everything down so I wouldnâ€™t forget. And away I went to the train station.Â What I had not taken care to do was figure out how long it would take me to walk to the train station. I made it though with a bit of time to spare and was pleased to see plenty of ticket windows open and available. I chose the window with the youngest looking employee in hopes of getting someone who spoke English. I did not. I began pointing at my piece of paper, attempting to explain the time and place that I wanted to go.Â To no avail.Â Tens of minutes passed in hopes of finding a ticket to where I needed to be.Â Finally, with the help of a second woman, I managed to purchase a ticket.Â They had written down for me the platform I was to leave from and the time.Â Away I went, harried, but relatively pleased to have a ticket in hand. As I sprinted to the platform, I noticed something strange.Â The time at the platform didnâ€™t match the time on my ticket.Â The time on the next platform over did.Â I took my chances and went to my original platform.Â I found a conductor.Â He did not speak English.Â I pointed to my ticket, to the train and did the classic shoulder shrug as if to say, is this right? His response? Nyet. I donâ€™t speak Russian or Polish, but I knew what that meant.Â So I turned and sprinted for the other train only to watch it pull away. This time I managed to find a customer service desk.Â And the employee there spoke flawless English.Â As I kicked myself for not trying the customer service desk first, I was told that the next train didnâ€™t leave for several hours.Â My only option was a taxi. And so, a very long taxi-drive later, and I finally arrived at my destination.Â An unused train ticket in hand, and a newfound respect for the language barrier. When thinking of European destinations, do you consider the language barrier? And have you had any horror stories with your lack of language skills? This entry was posted in Poland on January 26, 2011 by Marcus Cederstrom.